We believe our fundraising events bring families, parishioners, alumni and friends together in the spirit of Catholic education in a fun and collaborative way. Fundraising provides our school with necessary funds to bring our mission to life daily in a safe, educational environment. Revenue from events hosted throughout the school year help bridge the gap between tuition and the actual cost to educate a student at St. John Paul II R.S. We encourage you to join us in supporting the fundraising initiatives listed below for the coming school year. Bingo– Wed. and Friday Evenings -Hosting BINGO provides significant revenue for our school. We ask all parents to volunteer three nights per year at BINGO. It is an opportunity for parents to get to know one another, support our school and keep tuition fees down for all school families. Parents can register to volunteer through: online program, SignUpGenius. To access website, email bingo@jp2rs.org, or send the BINGO sign-up form to the school office to volunteer. We appreciate those who attend our BINGO nights and all who make it possible to host. 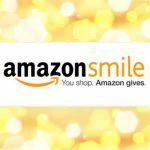 When you shop on amazon.com using our Amazon Smile Portal, .5% of your purchase will be donated by Amazon to St. John Paul II Regional School. Donations to our school are only made when using this link. Note: the charity is listed as Our Lady of Guadalupe Parish for tax purposes.